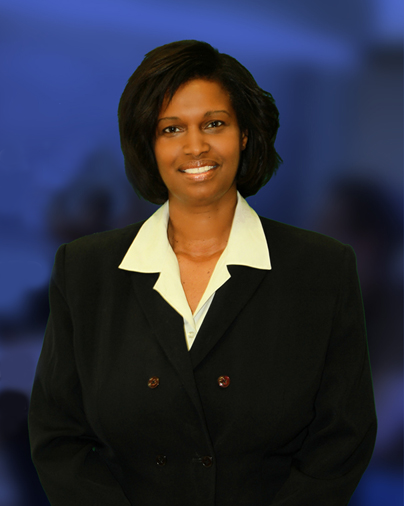 Since 2006, Sandra Edwards has been the CEO & founder of Edwards Learning Center LLC. Prior to founding Edwards Learning Center, Sandra provided organization effectiveness for a Dow 30 company with 232K employees by diagnosing the organization, via consultation, intervention, facilitation and leveraging training resources and tools. Sandra worked in Human Resources for over a decade where she provided training, organization development, supervisory/management and leadership development. During her career in Corporate America she supervised, managed and trained over 2000 management employees. Sandra Edwards provides seminars and workshops to private, public and government agencies on a variety of topics such as diversity, team building, career development, presentation/ communication skills, time management, critical thinking skills, conflict management and other related topics. Sandra Edwards is a true professional with an entrepreneurial spirit that epitomizes a resilient leader. She is deeply interested in the area of personal and professional development and is committed to helping others realize their full potential. Sandra Edwards is a college professor, a life coach, a motivational speaker and an educational consultant. Sandra attended University of New York, Fordham University, and University of Phoenix. She holds a B.A. in Economics and Finance, Masters in Adult Education and Human Resources, and Doctorate in Management in Organizational Leadership. As a mother of two, I can fully empathize with parents who want the best academic readiness for their children. I am passionate about learning and I strongly believe that the pathway to a positive life is through education; this is reason why I created Edwards Learning Center LLC. If your family works with Edwards Learning Center, you will never have to worry about finding the best tutoring and/or training center to help you and/or your child succeed in school and in life. Here at Edwards Learning Center, we will make sure to reduce the stress as our educational consultants educate, and our world-class tutors and trainers educate, motivate and inspire. At Edwards Learning Center, we truly care about you and your child. To that end, we hope our website will help you understand all of the educational and development services we provide to both children and adults. I would love to discuss how we can help you and/or your child, so that you can “breathe easy” throughout your child’s academic school year and/or your own personal and professional development. The first time you contact Edwards Learning Center, you will speak with me and I will be your personal guide throughout the entire process. My job is to get to know you and/or your child, make a personalized program recommendation, and answer any questions you may have over the course of your experience. I will match your child and/or you to the right tutor, trainer or coach. Contact us to schedule a free visit and educational consultation.